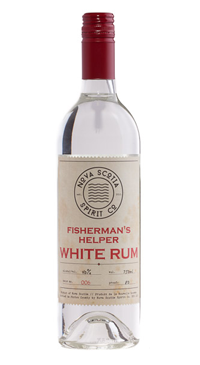 Fisherman’s Helper White Rum is tailored perfectly for the Nova Scotian rum drinker. It stands up tall in a mixed drink and it’s sweetness allows it to be enjoyed on it’s own. The rich, sweet oak vanilla notes are attributed to the 2 years it spends in oak barrels in the Caribbean before making it’s way to Pictou County where the barrels are blended, and brought from cask strength to bottle quality – ready to be enjoyed.